But let’s get back to the start. The set of “Mr Stink” is an ambitious one – a two storey house, with a bedroom set built on top of the kitchen set and a staircase connecting the two. The play starts with the spotlight on 12-year-old Chloe (Lucy-Mae Beacock) telling us the story of Mr Stink, who stank. And so it begins…”Mr Stink stank”. At heart, this is a buddy movie – an unlikely friendship developing between two lonely souls who have nothing in common on the surface but connect with each other. There’s a lot of heart in this story and it’s an assured performance from 16-year-old Beacock, with an incredibly pure singing voice that hits some very delicate and wistful high notes. When I found out she’d played Matilda, I wasn’t surprised – she has that mixture of youthful appearance but keen intelligence that both characters share. 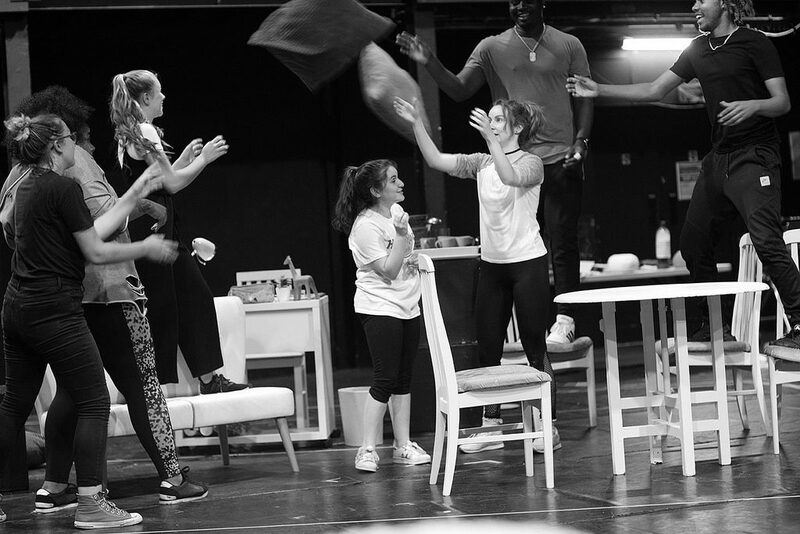 The rest of the family are more caricatured, with Belinda McGuirk playing politically ambitious and houseproud Mother, Ashley Driver as the downtrodden and long suffering Father and perfect daughter Annabelle twirling round the stage with infinite amounts of grace, played by Courtney Dayes. 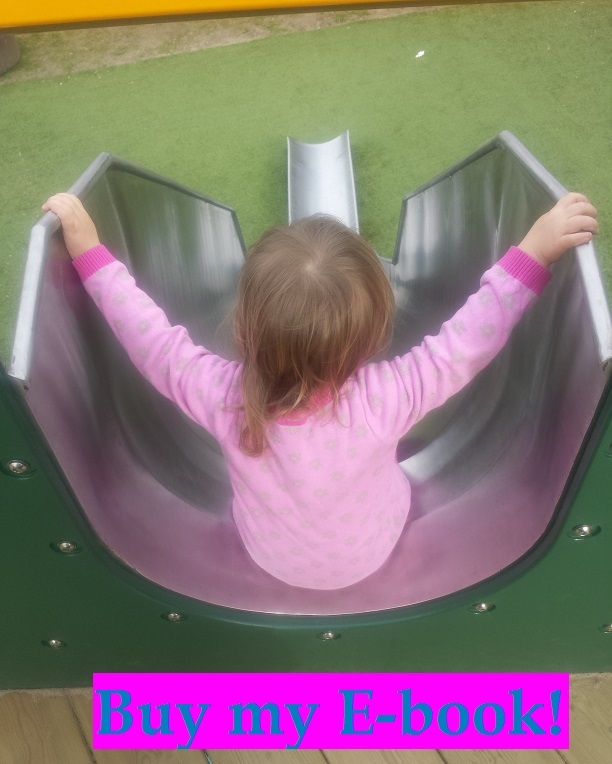 The mismatch between the different characters provides most of the comedy, from Father’s former career as a rock guitarist to Annabelle performing ballet as she’d doing the washing up. And Mr Stink himself? Well, the combination of wild beard and public school accent made me instantly think of my brother-in-law Clive but I understand not everyone will make that same association. Played by Bradley Davis, Mr Stink is an affable soul who gets increasingly demanding throughout the play but remains likeable if slightly repugnant to the prissier members of the Crooooomb family. One highlight of the first half is a scene set in Starbucks, where he manages to send all the cappuccino-sipping customers fleeing and leave the barista with a peg on his nose. As you can imagine, Roo found this hilarious. As Chloe moves Mr Stink and his dog into the family shed, tensions grow between her and the rest of the family with his very presence threatening Mother’s election campaign (I was surprised that her rosette was red and yellow rather than blue but I suspect that was deliberate in order to avoid making any kind of political statement). The dynamics build to a climax at the end of the first half, where Chloe’s secret is revealed midway through a breakfast interview with The Times. A quick note for the ensemble, dressed in cheerful coloured woollens (they must have been sweltering!). Always on cue and upbeat, they brought a real energy to the show and provided some of the most memorable musical numbers. 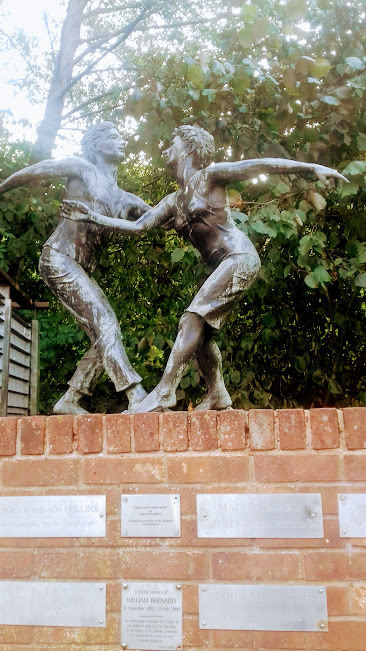 I was wowed by the effortless gymnastics during the sweet shop number, Chloe being swept up by some of the male dancers and twirled on their shoulders. It was the kind of visual spectacle that Chickenshed excel at, albeit on a smaller scale than productions like “Rapunzel” or “Stig of the Dump“. 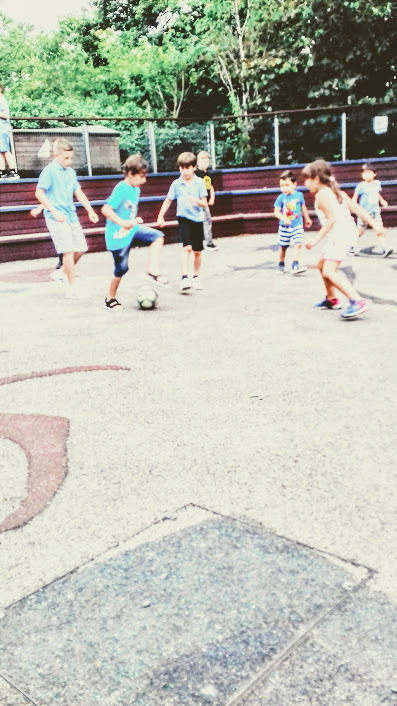 The sun was still up as we left the theatre for the interval, so Roo had a kick around with some kids in the garden, scoring a goal just before we went back in. 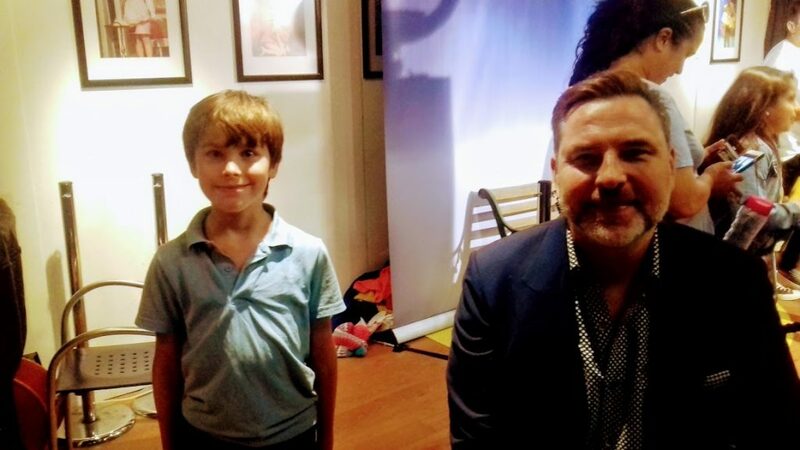 A goal AND meeting David Walliams – it’s like the dream interval for a 9-year-old. 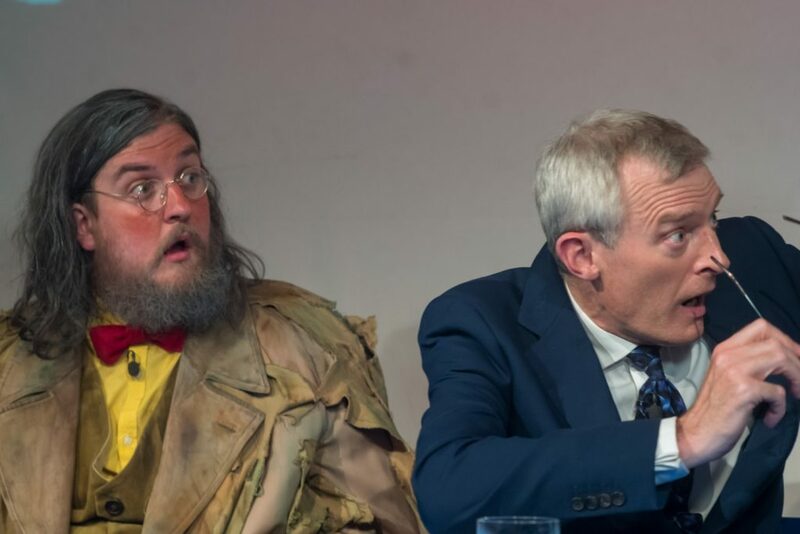 The second half sees the acting debut of Jeremy Vine who appears on a giant screen as Mr Stink and Mrs Crumb take part in a show called “Politics Today”. It was very well done, with characters leaving the stage and then appearing on the screen a few seconds later. That segment features a fine piece of physical comedy from Mrs Crumb – I won’t spoiler it – as well as some kid-pleasing toilet humour. The rest of the second half digs deeper into Mr Stink’s backstory and sees the Crumb family reach breaking point before reconciling. As you can imagine, it hits a lot of emotional notes and does it very well. The action shifts from poignancy to flamboyant dance routines in a blink of an eye. I won’t give away any more of the plot as I’d recommend you just go and see for yourself. It’s a visual and musical treat, which kids and parents can enjoy together. It was perfect for the 9-year-old but I think younger kids would enjoy it too, as long as they can concentrate for the 2 hours (including interval). The plot moves along at a steady pace so there’s rarely an opportunity to get bored and the songs are super-catchy (Stinky winky winky!). It’s a great show to kick off the summer holidays – light hearted but with an emotional punch and a strong moral that stay with you just like Mr Stink’s stench stayed lingered in the Crumb’s kitchen. More information and tickets are available here. Disclaimer: I recieved free tickets in exchange for a review. All opinions remain honest and my own. This entry was posted in Reviewing the Situation and tagged North London, theatre. Bookmark the permalink.